When it comes to business negotiations, you probably understand the importance of being as principled as possible to protect your reputation and ward off legal trouble. You probably expect your counterparts to follow the straight and narrow as well. Yet negotiators often have only a fuzzy grasp of which claims and strategies are legal and which aren’t. As a consequence, you could be taken advantage of or, conversely, inadvertently run afoul of the law. In his book Negotiauctions: New Dealmaking Strategies for a Competitive Market­place (Norton, 2010), Harvard Business School and Harvard Law School professor Guhan Subramanian analyzes legal issues that can trip up parties on both sides of the table, particularly in negotiations involving multiple bidders. Subramanian’s advice can help you steer clear of legal wrongdoing and recognize when others may be breaking the law. To take one example, imagine that a couple is thinking about making an offer on a house they’ve just seen. The seller’s agent informs them and their broker that another offer has come in at the full asking price. Upon learning this news, the couple decides to bid $10,000 above the asking price, about $20,000 more than they’d originally planned. The seller accepts the offer, the couple signs the relevant paperwork and puts down earnest money, and the celebrating begins. The next day, however, the buyers’ agent learns from a colleague who is friendly with the seller’s agent that the other offer didn’t exist—it was nothing but a bluff. Suppose you’re on the buyer’s side of this negotiation. Naturally, you’re angered to learn that you unwittingly offered more than you needed to for the house. 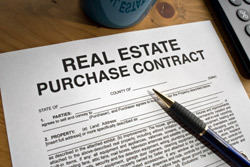 Can you get out of the deal or sue the broker for fraud? The likely answer is yes, writes Subramanian. Although U.S. courts historically maintained that buyers didn’t have a cause of action when sellers lied about competing offers, the legal system has been more protective of buyers since at least the 1950s. In all likelihood, the couple in our story could rescind the contract or recover damages from the seller’s agent. Note, however, that it’s difficult after the fact to prove exactly what claims were made during a high-pressure negotiation. Suppose the seller’s agent claims she never said there was a concrete offer on the house, only that another buyer was interested in making an offer. This subtle distinction could make a significant difference in court. In 1966, for example, a Massachusetts court refused to hold a seller liable for claiming he had “a buyer waiting in the wings” when, in fact, no such buyer existed. The court categorized the claim as “acceptable ‘seller’s talk’”—part of the puffery buyers should expect in negotiation. By contrast, Subramanian notes, many European countries would likely hold sellers to stricter standards for deceitful statements. Clearly, when you are a seller, the smartest course is to avoid making false claims that could backfire, causing you to lose the deal and tarnish your reputation. When you’re the buyer in this situation, you can protect yourself by conditioning your revised offer, in writing, on proof of a bona fide competing offer. Adapted from “Are You in Danger of Crossing the Line?” first published in the Negotiation newsletter, July 2010.